Vision Exploration, LLC is managed by Steve Walkinshaw, who utilizes 36 years of experience in 2D & 3D seismic interpretation, petrophysical analysis, and subsurface exploration to provide exploration, redevelopment and consulting services to a wide range of industry clients. Whether you're planning to expand your exploration efforts into our core areas, or are needing technical assistance on a critical project in your area, Vision Exploration can quickly and efficiently get the job done. Our core areas include the U.S. Gulf Coast and the Black Warrior Basin, but we can efficiently explore anywhere in the world. Interested in our core area? 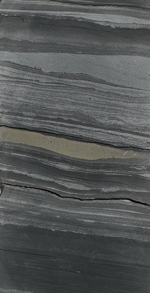 Take time to browse our Mesozoic / Paleozoic Geological Content. Vision Exploration is the only Mississippi-based independent that has served as geological and land consultant to a major Tuscaloosa Marine Shale ("TMS") operator. To learn more about the TMS Trend, click here. The TMS and Lower Smackover Brown Dense Lime ("BDL") Trends are two examples of unconventional oil (and gas) resource plays that have been recently been targeted in our core area. 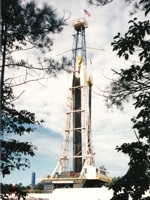 Vision has been very active in both Trends, a unique distinction among Mississippi independents, and has identified other unexploited unconventional resource plays, including a new geopressured Lower Cotton Valley gas play in North Louisiana that represents, in Vision's opinion, the eastern extension of the prolific Terryville Trend. 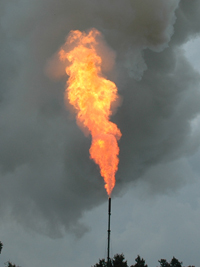 Vision is also the only Mississippi-based independent experienced in Geopressured Geothermal ("GPGT") exploration, and has recently identified a rare GPGT resource in its core area, one that is geographically close to regional electrical utilities, distribution networks, and multiple end users. Interested in the Brown Dense Lime Trend? Curious as to why the first efforts to establish the BDL as a significant unconventional resource play failed? Steve Walkinshaw has been lecturing on the potential (and the pitfalls) of BDL exploration since 2011. The BDL is best viewed as a "hybrid" unconventional oil & gas trend, similar to the geopressured Lower Cotton Valley (Terryville) Trend of North Louisiana. Click here to learn more. Vision Exploration's consulting, mapping and marketing services are considered by many to be the best in the industry. So is our ability to take old oil and gas fields apart and identify the significant reserve potential that remains. Read what many of our clients and associates have to say about our company. Vision Exploration uses IHS Kingdom's 2D3DPak, VuPak, SynPak and Rock Solid Attributes for its geophysical interpretation, and uses Neuralog software for LAS generation. We also utilize ESRI's ArcGIS and CGG-Jason's PowerLog (PowerBench) petrophysical analysis software, incorporating industry-standard algorithms as well as our own proprietary petrophysical algorithms. Vision Exploration is proudly based in Madison, Mississippi (Madison is located just north of Jackson, the capitol); click here to learn more about Madison (estimated median household income in 2013: $109,873; estimated median house or condo value in 2013: $246,436). This entire site Copyright © 2017. All rights reserved. Relax. We don't track our visitors.